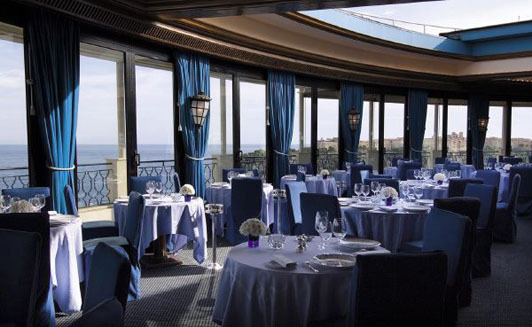 My Mom and I were taken to the legendary restaurant “le Grill” on one of my first visits to Monte-Carlo. I remember the decoration and service that really brought back a sense of glamour that must have existed here back in the fifties and sixties. Legend has it that Aristotle Onassis was responsible for the retractable roof, a kitsch but charming touch that allows diners to feast under the stars, weather permitting. This meal was also special because it was my first taste of soufflé. 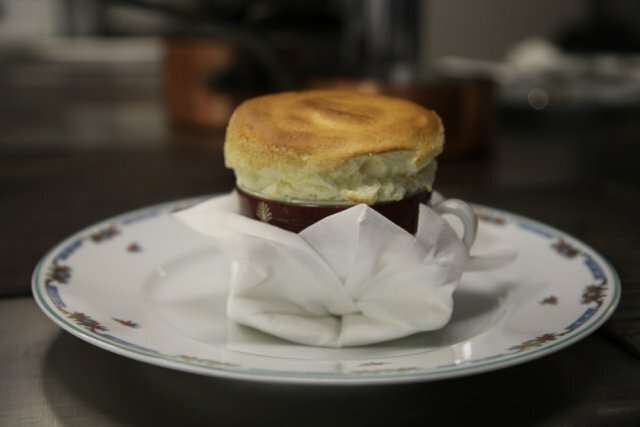 The Hotel de Paris (and le Grill) are renown for their soufflé and we tried a host of sweet flavors: chocolate, vanilla, gran mariner, seasonal fruits. It was an unforgettable experience, but soufflé remained for me in the domain of dishes too complicated for me to fathom trying at home. 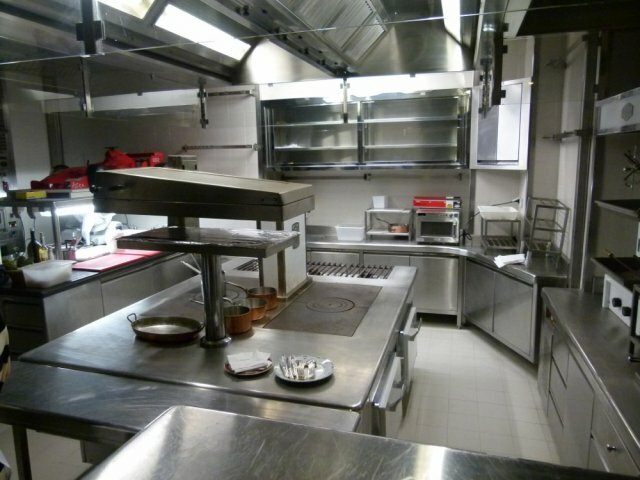 Well all that changed last week when my dear friend Emelia invited me to a cooking course at the legendary Hotel de Paris. 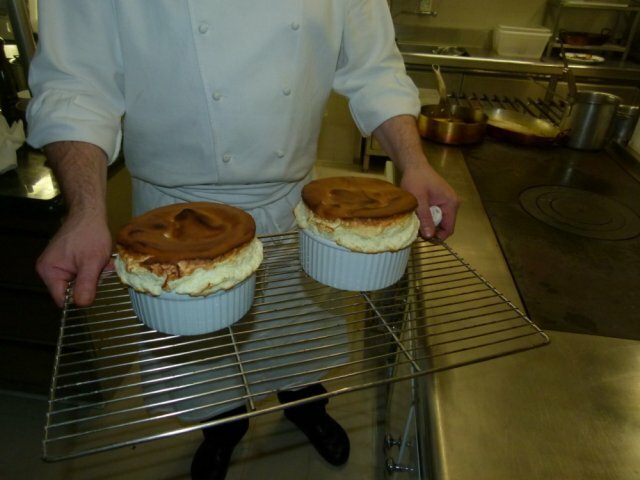 When I found out that the class included the famous soufflé I knew it was going to be special. We were received by Gianluca Strobino, a sous-chef at the Hotel who guided us to our private kitchen where he was going to teach us the secrets of the Grill’s soufflé. Gianluca guided us through all the steps of preparing the soufflé and dismissed many misconceptions, such as the fact that you need to be silent at all times, and not stay near the oven. He was speaking at high volume and opening and closing the doors of the oven to check on the soufflé, and nothing bothered it. 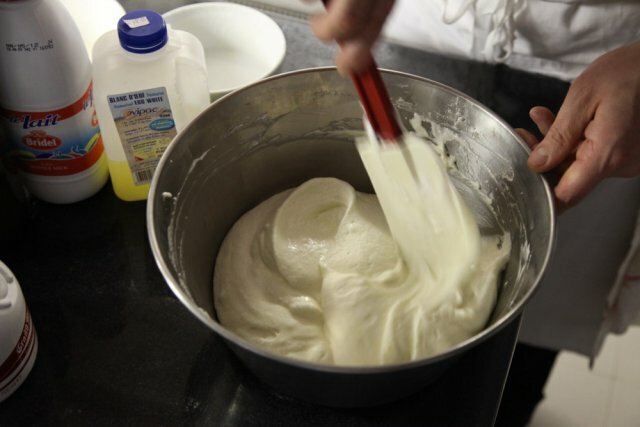 The base recipe is VERY simple, and from this you can simply switch out ingredients to make any flavor. For example if you want to make orange flavored soufflé, you change out the lemon zest for orange zest, and use an orange liquor (like Mandarin Imperial) instead of Gran Marnier. 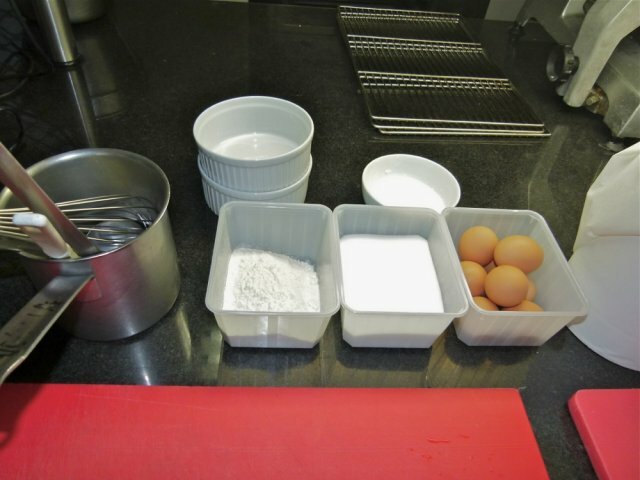 I have included Gieanluca’s recipe below, along with his step by step instructions, and a few secrets. 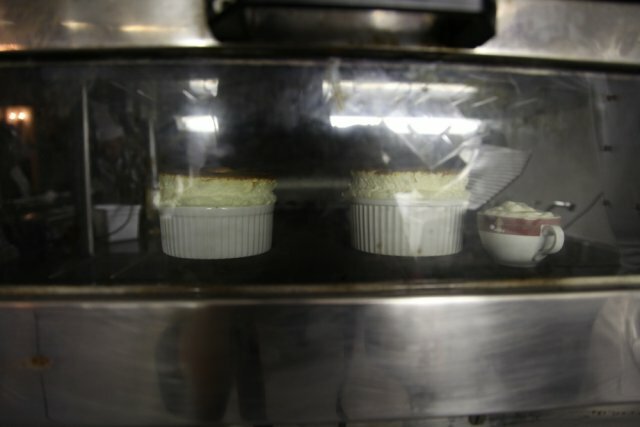 1) Once the ramekins are buttered and sugar powdered special care must be made not to touch the inside of the ramekins, as any thumbprint will affect the way your soufflé rises!! 2) Potato starch is included in this recipe to help your soufflé stay up longer, however he did not use this in our class as he said it was not essential. Previous postA taste of Morocco: Chicken Pastilla Next postHunting for orange blossom fougassette! Y – U – M !!! I want you to make me one of these next time I see you!! !